The eternal problem of selling a video game as a stand alone package is that it can and will be stolen. If people think that they can get away with stealing then they will, so the level of theft can easily reach the high nineties in percentage terms. In other words often very few users of your product are actually paying for the work that you have done. The way round this is alternative business models, so the customer is forced to pay in a different way. These can include online games with a monthly fee, pay per play, sale of in game items, advertising or sponsorship, etc etc. All these and more are being used successfully and the industry continues to experiment in order to find viable ways to be rewarded for their work. 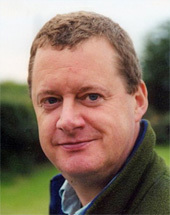 When I was Head of Corporate Affairs at Codemasters working for the Chairman, Jim Darling, we were fully aware of the blight of software theft on the business and often discussed ways round it. One idea was online gambling, where we made money from people betting within the game. After analysis we concluded that the level of expertise and investment needed was too big a risk when we were heavily geared up for the conventional gaming business model. 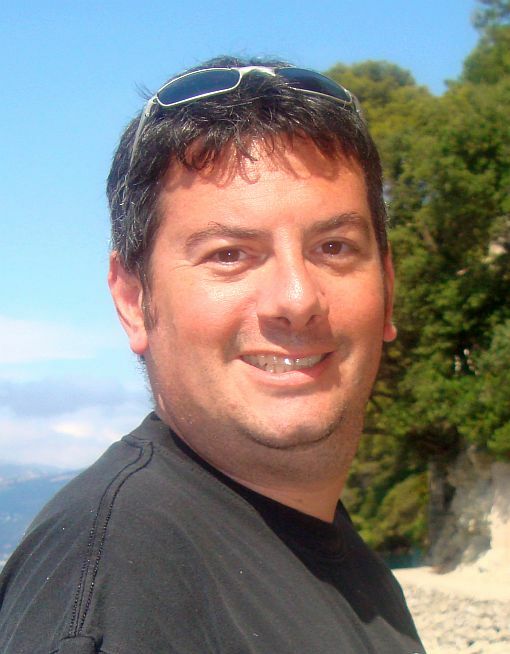 His online gaming company, PKR, is a huge success. There are two kinds of gambling online. 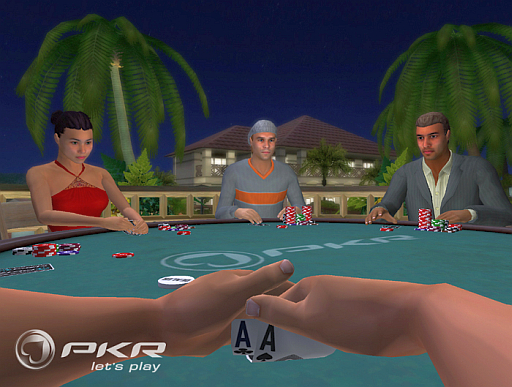 Some games, like roulette, the player plays against the house. This is a pure percentages game with the odds slightly in favour of the house so that over time they always win. 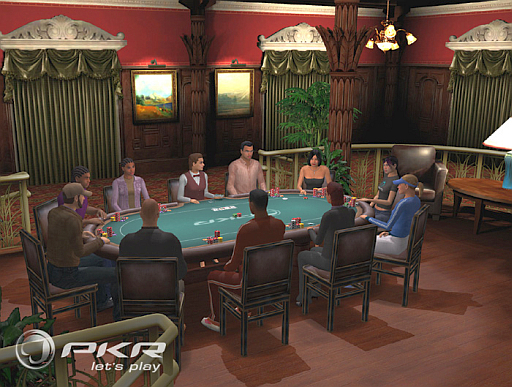 The second kind of gambling is a multiplayer game where the players play against each other, such as poker, here the house makes their money out of taking a small percentage of the winnings, known as the rake. Online poker has a huge advantage over real world poker in that it has very low operating costs, all you need is space on a server. Whereas real world poker requires a building with all the associated overheads which are very difficult to finance with a rake. 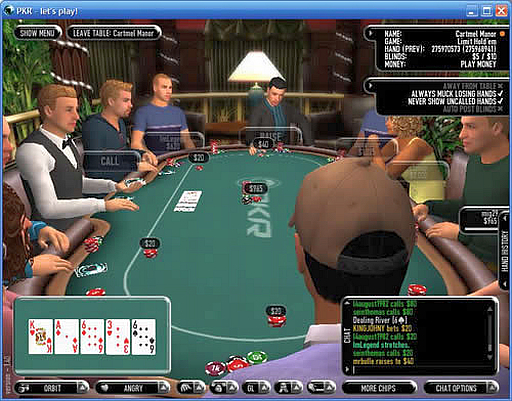 This, and the fact that it more a skill than a chance game, have made online poker extremely popular. If you want to increase your skill there are even online poker schools. Some people have moral scruples about gambling. I look at this two ways, firstly that it is just video gaming monetised in a different way. Secondly that people only have so much leisure time in which to spend their money doing what they enjoy. Gambling is very enjoyable so why shouldn’t people be allowed to spend their money doing it if they want to? The only problem comes with the minuscule minority who become addicted with bad social consequences. But there are plenty of other addictions, some of which are much worse. One problem the online gambling industry has is that the main companies involved are not American, obviously the people who govern America, who are very trade concious, didn’t like this. So it is no surprise that online gambling is banned there. Which is pretty abusive of the state, taking away their citizens’ freedoms. It also dampens the business model when the largest market is officially closed. Of course Americans who want to get round the silly restraints can do so very easily. An Antiguan credit card sorts the money and it is easy to hide behind a proxy server when online. Which brings us to an interesting facet of online gambling. As an industry it is very new, far newer than the video game industry. So their marketing is fairly unsophisticated and their communications even more so. They obviously have issues with stakeholders, just as the video games industry did with the issue of violence, for example. But the video games industry engaged with government, and other stakeholders, worldwide to explain their case. The online gambling industry seems to be a long way behind with this sort of engagement. 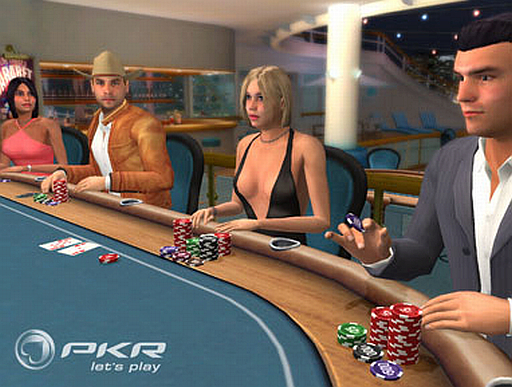 It will be interesting to see how much, in future, the video game and the online gambling industries move together. One thing that may ease the process is when individuals, at all levels, move between the two. This way the culture, practices and technical knowledge will be on a two way street. Welcome back! Glad to see you’re updating again!